Chandigarh: The rate of HIV positive cases has undergone a marginal dip by over 0.10 per cent in Haryana amid a significant increase in the testing of its AIDS-prone residents from 6.55 lakhs last year to 7.88 lakhs this year. “As a result of the improved health services being provided by the state government, the rate of HIV positive cases has decreased from 0.67 per cent in 2015-16 to 0.55 per cent in 2016-17,” Health Minister Anil Vij said here. Constant reducing trend is being seen in the rate of HIV positive cases, which was 0.68 per cent in 2014-15, he said. “Besides, number of persons who were tested for HIV/AIDS has increased from 6,55,854 in 2015-16 to 7,87,909 in 2016- 17,” Vij said. He said that in view of the ongoing dual epidemic of HIV and Tuberculosis (TB), the Health Department had started linkage between Integrated Counselling and Testing Centres and TB Centres for cross-referral of patients. As a result, the number of HIV-TB co-infected patients has reduced from 352 in 2015-16 to 154 in 2016-17. These patients are being provided free treatment in government hospitals, he said in an official release. Vij said that Anti-Retroviral Therapy was being provided to HIV-positive patients in 18 centres. 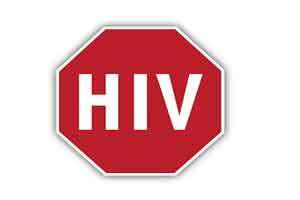 As many as 21,482 persons living with HIV/AIDS have been registered at Anti- Retroviral Treatment Centre (ART), Rohtak.